Much of the UK has had at least a flurry of snow this week if not more. 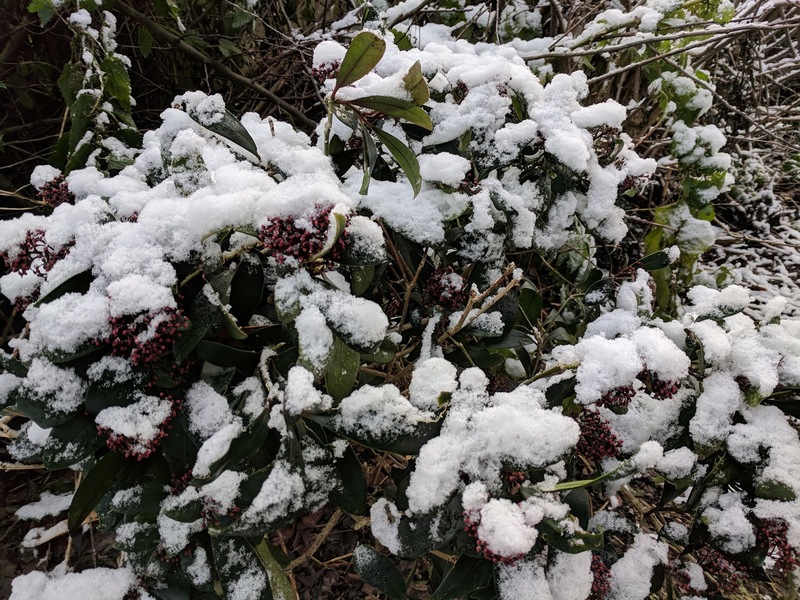 Whether snow falls again the general cold weather can do a lot of damage to your garden. As the temperature drops it is worth having a look round your garden and checking what you can do to protect it from the winter weather. - Cover any berry trees if you want to have some for yourself to cut and display indoors. If you are depriving the birds of a food source make sure you put other food for them. - Remove saucers from pots so they don't fuse together and crack. It will also help the roots. Keep the pots off the ground by raising on clay feet or putting on wire racks. - Lag outside taps because if they get frozen the water left in the tap can expand when it turns to ice and then burst. - Brush snow off weak branches to prevent them snapping. Any hedges or topiary will benefit from snow being cleared off as well as it will stop them splaying. - As tempting as it may be to walk across the snow or crunchy ice on your lawn don't do it as it will damage the grass. - Check for any root balls that may have been forced out of the ground by frost. Either dig back down if you can or cover with mulch. - Cover any garden furniture and ornaments or if you can move it indoors to a shed or garage. - If you have a shed don't just lock it up and forget about it during the winter. On dry days open the door to let fresh air circulate and release any moist or stagnant air. - If you have a pond make sure there is always a hole in the surface. Some people use a rubber duck and remove it when ice appears. The breathing hole will allow any noxious gases to escape and then won't harm any aquatic life in it. Has your garden been hit by the weather? Do you make sure to keep things in order in cold weather?